This is one of the larger growing Earth Stars that reach 12" across when grown well. 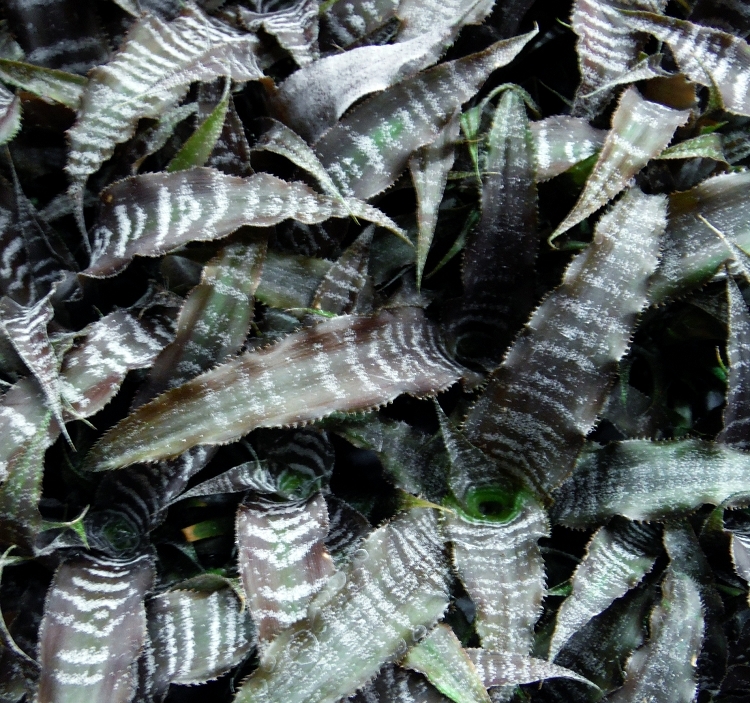 Under bright light the leaves are very succulent and are a deep chocolate-brown color heavily banded in silver stripes. A very pretty plant and easy to grow on a sunny windowsill. Available plants are growing in 3" deep pots.